The 2018-19 season marked Guy Kalland's 35th year on the Knights’ bench. He is one of only two active coaches in the MIAC with more than 400 wins at his respective institution. Kalland has earned MIAC Coach-of-the-Year honors three times, 2006, 2011, and 2017. 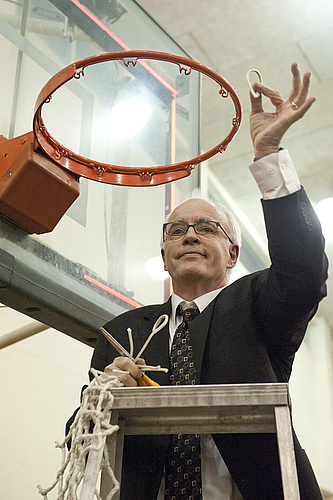 Kalland is Carleton’s all-time leader in coaching victories and has led the Knights to winning seasons 24 times. The Knights have qualified for the MIAC Playoffs in 14 out of the last 19 seasons and 23 times overall under Kalland’s watch, including 22 of the last 31 seasons. His teams are well prepared and play an intelligent, hard-nosed style at both ends of the floor. The Knights ranked first in the MIAC in scoring defense each season from 2014-15 through the 2017-18 season before finishing second in 2018-19. Carleton has allowed 63.4 points per game over the last 10 seasons. The squad has led all NCAA schools in fewest fouls per game four out the past nine seasons. A 1974 graduate of Concordia College-Moorhead, Kalland is a professor in the Physical Education, Athletics, and Recreation department at Carleton. Kalland and his wife, Linda, have a daughter, Abby Kershaw, a 2004 graduate of Carleton. Kalland and the Knights made an improbable run to get into the 2010 MIAC Playoffs by going 9-1 in the conference’s second half of the regular season. In the postseason, they upset nationally-ranked St. Thomas in the MIAC Playoff Semifinals and toppled Gustavus Adolphus in the conference championship to qualify for the NCAA Tournament for the second time in Kalland’s tenure. 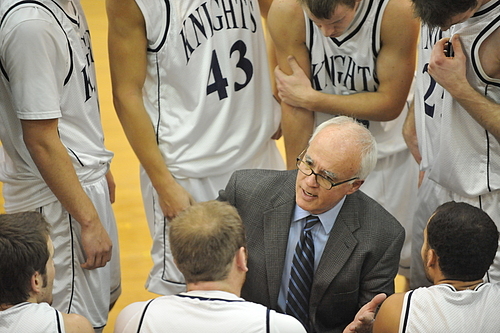 The 2009-10 run mirrored that of the 2005–06 season, when Kalland and the Knights reeled off 17 straight MIAC regular-season wins en route to the program’s first conference title since 1965–66. The Knights advanced to the NCAA Tournament for the first time in program history, and Kalland was recognized as the MIAC and West Region coach of the year. The 2010-11 season saw the Knights win a share of the MIAC's regular-season title, the program’s 20th overall conference title. In 2016-17, the Knights went on a 14-game win streak and finished in third place in the MIAC standings. The Knights bowed out in the MIAC Playoffs semifinals with a loss to the eventual champion, Bethel. Ryan Kershaw joined the Carleton coaching staff prior to the 2013-14 campaign and was named Associate Head Coach in March 2019. A veteran of the MIAC, Kershaw has spent the last 18 seasons as a player or coach within the conference. In his first six seasons as a member of the Carleton staff, Kershaw coached and mentored nine different players who earned All-MIAC honors, and five players who have earned MIAC All-First Year team honors. Following the 2017-18 season, Carleton senior Kevin Grow earned All-America honors, and was named as one of 10 finalist for the Jostens Trophy, a national award to honor the most outstanding men’s NCAA Division III basketball player of the year. Following the 2019 campaign, junior Kent Hanson was voted to the D3hoops.com All-Region team. 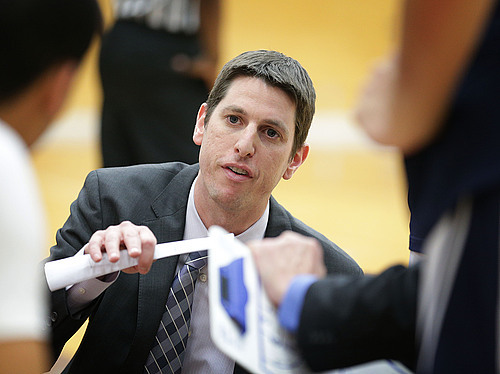 Prior to joining the staff at Carleton, Kershaw spent six years as the top assistant at Augsburg College in Minneapolis, beginning in 2007. He helped revitalize an Augsburg program that finished eighth in the conference prior to his arrival. During the five-season span from 2008-13, the Auggies recorded the second-highest winning percentage among conference squads (.647) and appeared in the post-season four times, including a trip to the 2013 conference playoff championship game. During the 2012-13 season, the Auggies recorded an overall record of 21-7, the highest single-season win total for an Augsburg team since 1999. Kershaw played four seasons at another MIAC school, St. Olaf College, graduating with a bachelor's degree in social studies education in 2004. A native of Texas, he then spent two seasons as a volunteer assistant coach for the Oles before accepting a position at Augsburg where he completed his master’s degree in leadership in 2013. In addition to his coaching duties, Kershaw also assists in the Sports Information Department at Carleton. He and his wife, Abby, a 2004 Carleton alum and former women’s basketball and softball student-athlete, reside in Northfield with their son Cade.